Thank You… (fill in the blank). 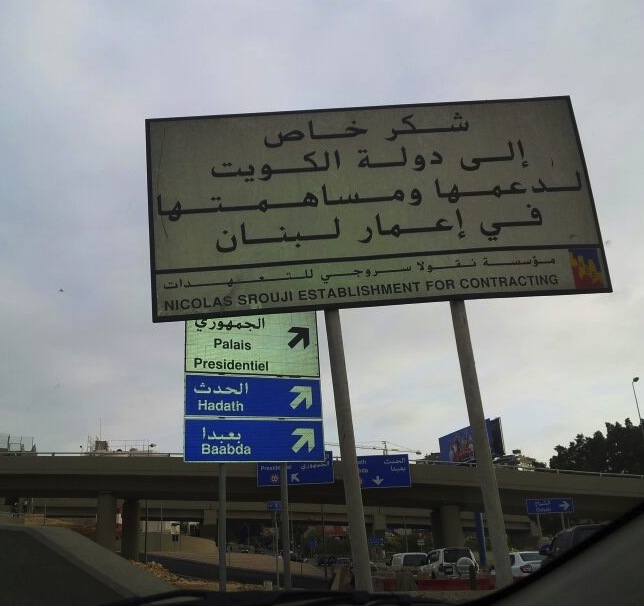 Since decades now and the streets of Lebanon are filled with signboards thanking a particular minister, a member of parliament, a foreign country or simply a rich businessman who wants to make a jump into the political scene. Some argue that these are the results of the major crisis that occurred in Lebanon; in instance the reconstruction after the 2006 war with Israel or the Nahr El Bared battle with Fateh El-Islam were directly funded by Iran, Qatar, Kuwait and Saudi Arabia. 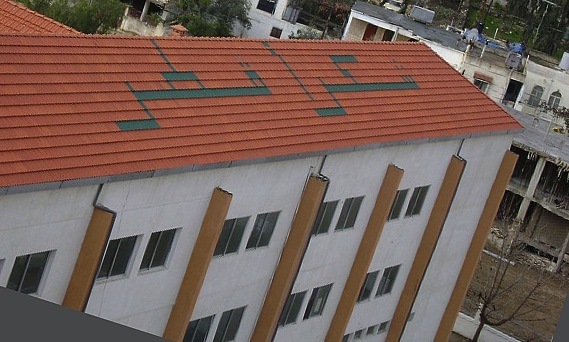 Regardless of these critical events, and in the absence of a Ministry of Planning, the Lebanese government got used to accept funds for projects it was not able to perfectly manage. It chose the easiest way to collect money from non-governmental institutions, and in a way give Lebanon the image of a victim that always needs a foreign help. The most annoying is that some consider such donations as a sign of good will and generosity, but the worrying fact is that “nothing is ever free”. Automatically, the donor is granted special privileges on future demands and requests, placing him in a very influential position and placing the ministry in a moral debt situation. Usually, projects conducted by a ministry should be financed through government funds, taxes, or to some point through bank loans; keeping the ministry away from any kind of bribery, political affiliation or other personal interests. In developed countries, such involvement is considered after investigation, as a violation to the state and could lead to legal prosecution. For example, we never see a sign in Europe where German citizens thank Angela Merkel for paving a road, or a banner in the streets of Paris thanking Queen Elizabeth for building a pedestrian bridge. 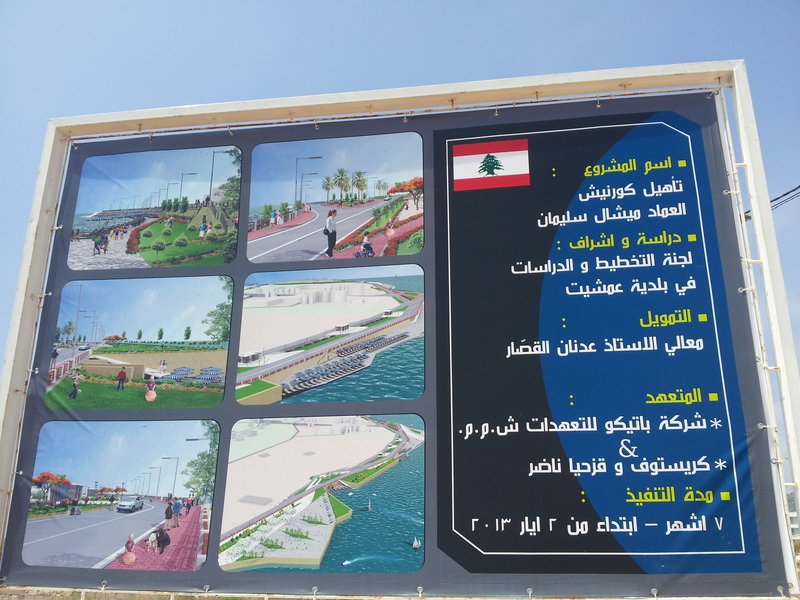 Lately, a rehabilitation project of Amchit coastal boulevard (near Jbeil) was personally funded by Adnan Kassar. The former minister of state in the 2011 Hariri government is a lawyer, a banker, and a businessman. Despite the friendship he has with many local political figures, his donation was more seen like a prelude to a role in an upcoming beach resort on this same boulevard. Previous Article Baalbeck Festival in…Metn.